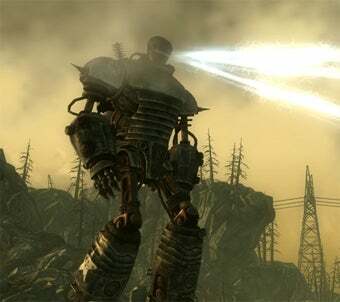 The Broken Steel update for the PC version of Fallout 3 has been taken down for repair. Bethesda explains why. As we reported previously, PC users who downloaded the Broken Steel downloadable content via Games for Windows Live this morning were treated to a "cryptographic message is not formatted correctly" error. We contacted Bethesda's Pete Hines, who explained that the error is related to Games for Windows Live. We're seeing the same error folks have reported, which is a Games for Windows Live DRM install error. Microsoft is working on fixing it, and we'll let everyone know once we've verified it. Hopefully this won't take too long to fix. In the meantime, Xbox 360 users seem to be doing just fine, so the PC players who laughed at the Xbox 360 issues with the Pitt downloadable content are now getting a healthy dose of karmic retribution. Update: Spoke too soon! Xbox 360 users are experiencing a nasty bug that keeps them from activating Project Purity. We're beginning to think that having the word "Broken" in the title was a bit of a bad call. Still, that issue isn't effecting everyone, so at least someone is playing it, right?